Dilrosun has multiple caps for the Netherlands at various youth levels. No, we’re not bringing Raheem Sterling back, or even getting former Jurgen Klopp target Leroy Sane! 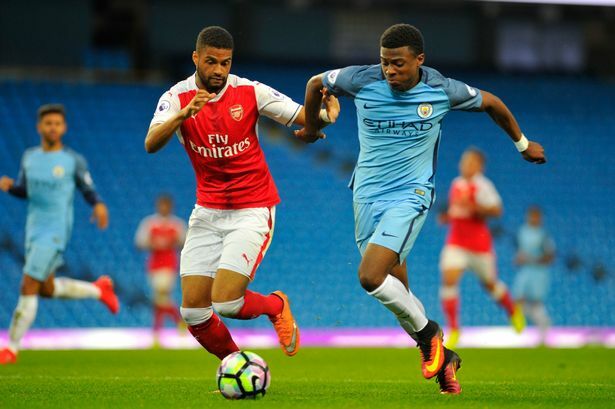 But we could, according to the Daily Mail, sign Manchester City’s 19-year-old starlet Dilrosun, whose situation is also being monitored by Borussia Dortmund, Valencia and Rb Leipzig. Their report suggests that the Dutch teenager is out of contract at the end of the season and is so far not renewing due to the likely impossibility of breaking into the first-team any time soon. Dilrosun is one of City’s best youth players, winning multiple caps for various Dutch youth teams to boot. He can play on either flank and is absolutely rapid, something paramount for wide-attackers nowadays. Liverpool lost 5-0 to Manchester City earlier this campaign, with Sadio Mane red-carded for a high boot on Ederson. This summer gone, we acquired Chelsea starlet Dominic Solanke in a similar manner. The Englishman saw no chances of progression at Stamford Bridge and rejected their contract offer as a result, instead choosing to sign for Liverpool under Jurgen Klopp. He hasn’t had many minutes, but was still selected by Gareth Southgate for England’s last fixture with Brazil. Liverpool’s U23 team is the best in the country at the moment, with Neil Critchley’s men top of Premier League 2. Anybody who can improve the side is welcome, although at 19, we’re a little worried Dilrosun has yet to make a senior appearance anywhere.